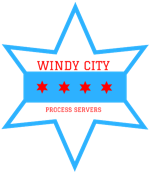 Serving Chicago and the surrounding suburbs, Windy City always provides a personalized experience for our clients with status updates and honest interactions. 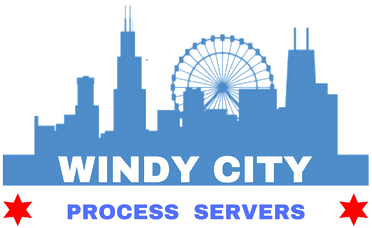 Windy City Process Serving is owned and operated primarily by Bob Rusch, a Private Detective & Process Server with over 16 years of experience in the legal services industry and a lifetime of living in Chicago. Bob is dedicated to finding the perfect way to serve papers quickly and with over-the-top communication. Status updates come with every serve, attempt, and document that is moved. He believes that serving due process should be a seamless experience, especially since it can be complicated for the biggest corporate legal departments to the solo and small practice attorney. Fellow process serving companies can rely on Windy City to act as an extension of their office when service is requested. Using software and updated processes, Bob is able to get rush services, same-day serves, and regular service done faster than the competition. With meticulous attention to detail, he personally oversees or attempts all Chicago and suburban services. He has spent many years networking through legal and process server associations. He is the current president of the Associated Detectives Security Agencies of Illinois (ADSAI). Fast and affordable process service of all legal documents in Chicago, IL. Also offering services throughout the suburbs, the state of Illinois, and nationwide through an extensive network. Research and retrieving court documents for civil or criminal trials. DMV records, civil court records, criminal cases, and more. Filing documents for out-of-town clients and busy lawyers, paralegals, and individuals in town. You can expect organization and a worry-free experience regarding your papers so you can focus on other important aspects of the case. When clients are evasive, we use investigative tactics on and offline to track them down and get them served. We'll let you know when skip tracing may be needed and the potential parameters of time and cost. Electronically filing your important legal court documents just got a lot easier! Windy City is proud to provide eFiling since Illinois mandated that all court documents be entered electronically. We accurately submit your case documents via an approved electronic service provider for the county clerk to review. eFiling is a complicated and time-consuming but the experts at Windy City know the ins and outs of Illinois' legal system and make the process simple. Company owner Bob Rusch guarantees respect and communication with every client and every serve. Please contact us today if you have any other questions. © Copyright Windy City Process Servers. All rights reserved.